Biomat Single is a simple solution for those who want to bring the health benefits of Biomat into their home. Biomat has been shown to regulate your body’s various systems, resulting in increased immunity, more consistent sleep cycles, and improvements to overall energy, health and vitality. Biomat’s design is based on NASA technology to harness far infrared rays and negative ions and deliver them deep into your body for optimal benefit and therapeutic results. 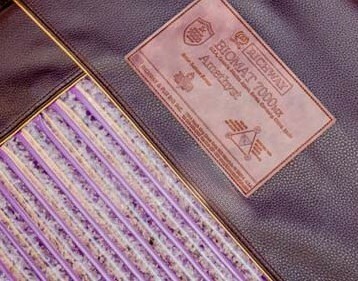 Biomat Single is filled with 22 pounds of amethyst crystals, and you will be able to see these stones through a clear panel that runs down the length of the mat. These amethysts supercharge the Biomat’s far infrared rays and push them deep into your body, helping you heal from the inside. 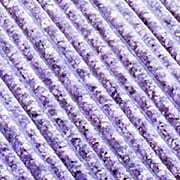 Biomat Single is a foot wider that Biomat Professional, and contains more amethyst crystals for increased benefit. 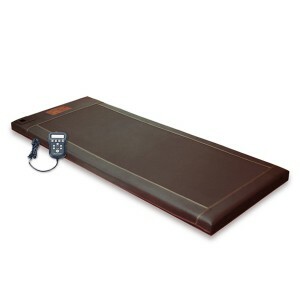 Biomat Single is a good option for home use, and fits perfectly on a twin bed. 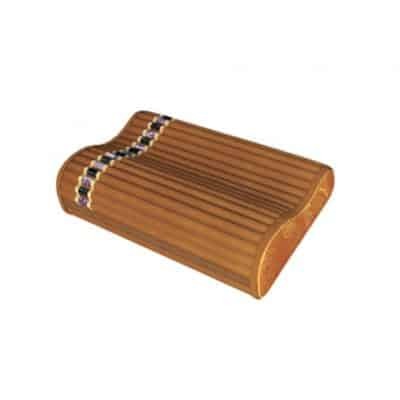 Set it on a spare bed – or your own bed – or somewhere peaceful where you can get away and relax. Biomat Single comes with a washable 100% cotton cover that we recommend using every time you use your Biomat. The cotton cover helps to protect the Biomat from spills or sweat, and will ensure you can enjoy a long and happy life with your Biomat. Biomat Single also comes with a control panel that allows you to easily select your preferred heat setting with the touch of a button. Never worry about exposure potentially harmful electromagnetic frequencies while you are using your Biomat Single. 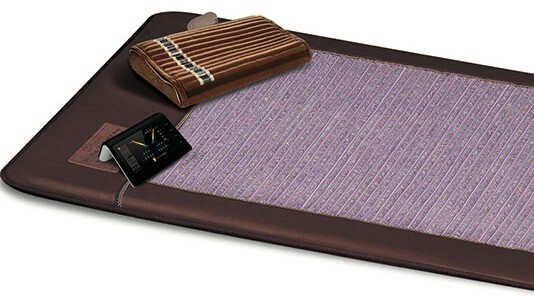 Other heat pads and blankets on the market have been shown to expose their users to high levels of EMFs. 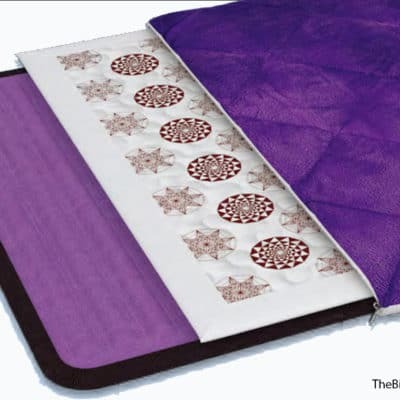 Biomat prevents any AC current from flowing into the mat, keeping you safe and delivering only the healing negative ions, far infrared rays, and soothing heat you are seeking. Biomat King is designed to fit perfectly on any king sized mattress. It is designed using the same patented technology and contains the same materials and temperature settings as smaller Biomats of the Biomat Professional. As a bonus, the Biomat King has two temperature settings so that two people may comfortably use the Biomat King together, and each can customize the heat on their own side of the bed.